Guys, it’s here, it’s here! 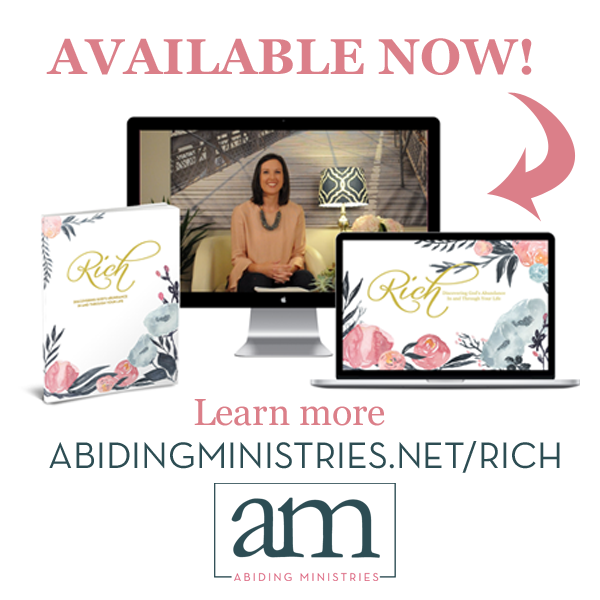 If you haven’t checked in lately, today is the big launch day of the new ministry site AbidingMinstries.net, a new video-based Bible study I filmed called RICH: Discovering God’s Abundance in and Through Your Life, and the latest season of my podcast Feathers: Faith in Flight. I feel like I’m birthing not just one baby, but triplets! I’d love for you see the new babies, and come hear more about it. I have some really exciting news to share today! I’ve spent the last 15 months or so on a break from writing and concentrating on my podcast Feathers. I haven’t written about it here, but I shared a bit on episode 16 of Season 2 how God has used the time to teach me more of my identity in Him. God healed me in several hurt places from my past and confirmed my creativity, and I’m still learning to stand secure in identity as beloved daughter, gifted and called with purpose. Last year I also felt called to speak and spent last year attending a speaking conference, writing my first message, and then getting to share that in my mom’s church at a women’s group and at a youth retreat at my home church in November. In the last six months, God has begun to show me my next steps in ministry. The message I wrote last year was birthed out of John 15, where Jesus shares with his disciples that he is the true vine and warns them that they can do nothing unless they abide in Him. This is the lesson I have been learning for years now, perhaps the hard way. 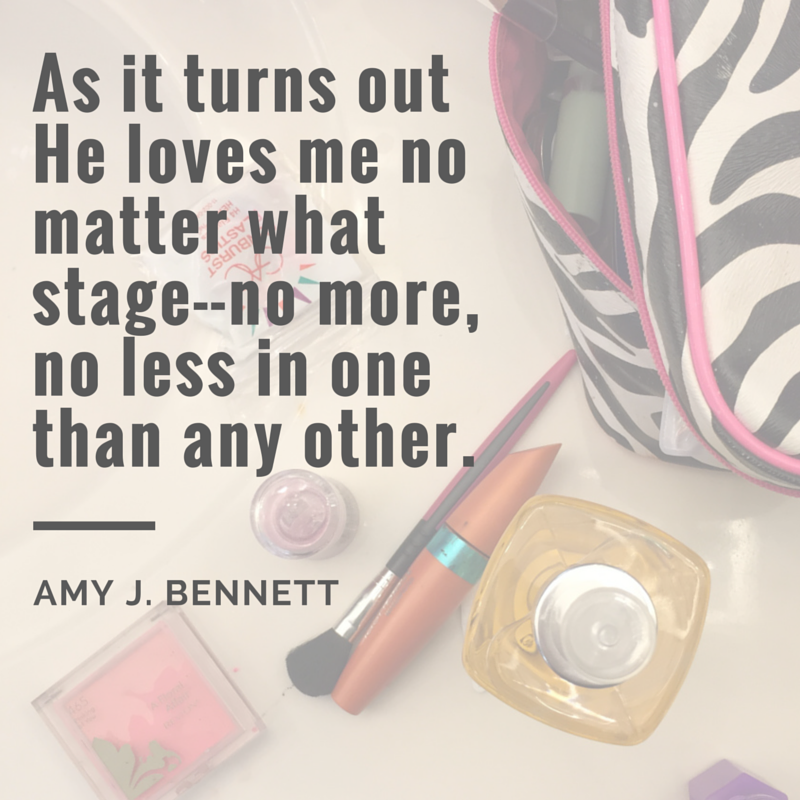 God is prompting me to share this message with other women in an online ministry called Abiding Ministries. The vision God has given me is to encourage women to read his word, pray, and obey Him. 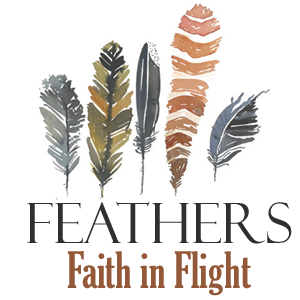 Feathers is already completing part of that vision as women encourage others with their stories of faith and obedience. I’m excited to see this expanded into Bible reading challenges, morning encouragement videos, teaching series, prayer partners, and more. 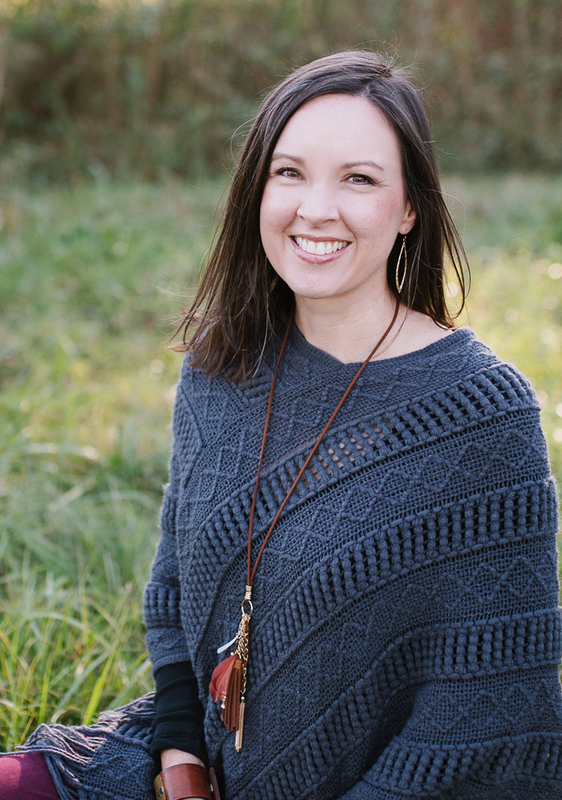 I’ve met with friends, family, and other wise people and feel confident the next step is to form a small pilot group of women that would begin doing these things together and help launch Abiding Ministries as an online ministry. If this idea excites you, I would absolutely love to travel the next few months together. I need accountability and encouragement as much as you do. If you would like to be in on the launch of this ministry and can commit over the next 4 months, please apply to be in the group here. Applications will be open until Monday 16 at midnight–you have one week!. I will be prayerfully considering each and every entry and truly believe God will reveal Himself more as we follow after Him together. Earlier this week I read this post where a Muslim family had a vision of Jesus. Jesus told them a man named Daniel would visit them and tell them more about him. Sure enough, a missionary from Vermont showed up at their doorstep and said he was Daniel and he was there to tell them about Jesus. The entire family asked to hear about Christ and accepted him. It is stories like these that show me that God is at work even among, and maybe most among, refugees. It reminded me of a post I wrote in November about the refugees, when the topic was often in the media. I had some convictions, but got too scared to share them. It’s funny when you run a podcast about obedience that God keeps calling you to do even small things and yet you feel too much fear still to obey. So, today I’m confessing I disobeyed and yet, I felt God saying it’s not too late to share. So, I guess I want to say today that God is at work in the refugee crisis and I believe he’s inviting us to play a part. It’s clear he doesn’t need us to make himself known, but we have the honor to be part of the body of Christ if we choose. Many, many other words have been said on the subject of refugees. An ocean of them. But as it turns out, I feel as if I ought to add my drop. (This is a must-read and I like this one too) Let me make my stand on the matter clearly and quickly: I do not oppose letting them in. The more I read about Scripture and listen to people’s stories about how God is working in their lives, the more I am convinced our only job is to love each other at the cost of ourselves. In John 15, Jesus says this is the way to complete joy. Embedded in that is God’s desire to take care of the oppressed, the poor, the naked, the alien. I have been asking God lately who the oppressed are around me. He’s been answering me most recently with the Syrian refugees. In light of that, I have learned that it is futile to do anything but ask God, if this is what your word says, then will you please make this true in my life? 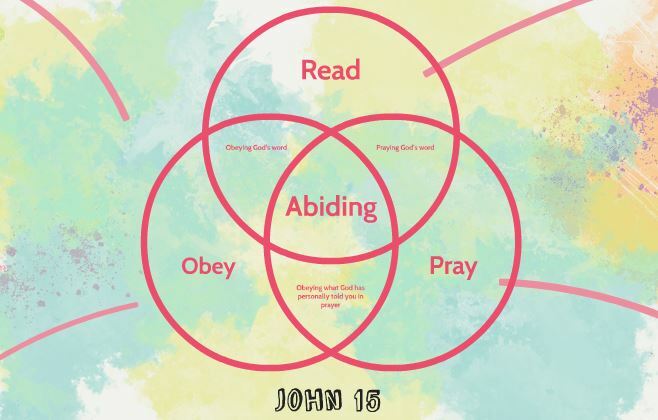 This is the picture of abiding with Christ: you understand what Christ is like through Scripture, you ask him to make you more like that, and then you obey His Spirit when he reveals it to you. What that looks like in this case for you may be to open your home, but it may be to donate financially, or a million different things. I couldn’t say. I don’t have any other answers aside from that. We must each seek God to know what he requires of us in this time, but I can guarantee you His heart is always with the oppressed. I recognize the fear. And I recognize it well because it’s the same fear I had before we adopted. The child was not a name or a face, but “an orphan”. And that “orphan” was scary to me. Many, many times I had visions of him shooting us with one of Scott’s guns, coming after me with kitchen knives, or losing it and hurting one of our girls. “The orphan” was dangerous and did I really think it was safe to invite him into my home? It turns out that my son sometimes doesn’t even know the right side of the blade on a knife to use. My family knows I have room to say that because there is a very classic story of me using the wrong side of the knife to cut something as a teenager. The point is: often the fear is unfounded or blown out of proportion. And man, I get it. Do the vetting. Ask the questions. Let’s be as safe as possible. But as Jeremy says, this is scary and dangerous. There is no doubt there are risks. But, God never promises safety. Look at his prophets and disciples. Or Jesus himself who was innocent and obeyed His Father to lay down his life. This is not a safe calling. Saying that we’re not safe is not a good excuse to disobey God. He is the God of Daniel and the lions den and Jonah and the whale, after all. Jesus says if you love me, you must obey. So, whatever that thing is he answers for you up there about how to help the foreigner and oppressed, you have to do it, safe or not. I have pondered whether God is scattering these people and bringing them to our doorstep because many never obeyed the call to actually go to them. Could it be he is bringing them to our doorsteps and saying since you won’t go and make disciples, could you at least let them in and make disciples? I wouldn’t ever try to understand God’s motives. I can’t. He tells me I can’t. But I do wonder what kind of opportunity is staring us in the face that we’re too scared, hard-hearted, or prideful to see. And so, Christian, my challenge for you and me is to, in prayer, agree with God’s word that he wants to see the oppressed taken care of and then ask what do you require of me? Heather and I recorded her podcast episode last Saturday. It was a last-minute one, although I’d been thinking on it for weeks. 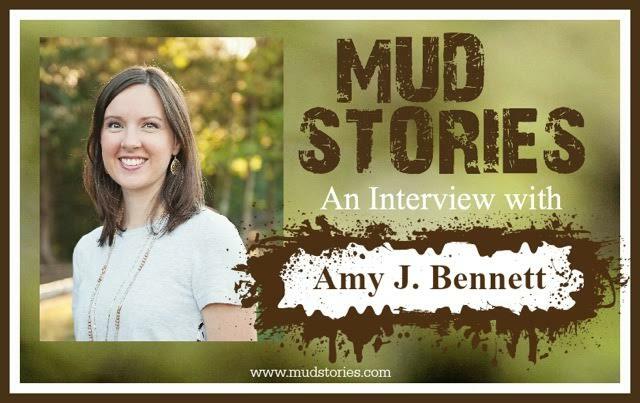 As I was sitting there, a message popped up from Jacque, would I, could I, record my emotional affair story for her podcast Mud Stories? Do you know, though, we’re 10 years out from this relationship and 4 since the eBook and I’ve never really spoken out loud about it publicly? But without hesitation, I said yes. Remember how God has been calling me to speak this year? Yeah, this is one of those open doors I’m walking through. I find God’s timing is impeccable to have both my sister and I sharing our stories of brokenness and redemption the same week in the same format. It’s a tale of two sisters, both with very different stories, but at the heart, finally learning that God is the lover of our souls. It’s my prayer that even if we don’t share the same story, that you too would be beckoned by our Savior in your own mud, throw off whatever entangles you and fix your eyes on Him. Guys, I’ve missed writing regularly here so much! I really hope you’ve been enjoying the podcasts in the time since. God has been doing a very good work in me these past few months and I wanted to catch you all up. In this video, I share why I quit writing for a few months, what I’ve been doing, and where I see things headed in the future. I hope you take a few minutes to catch up. I walk into her bathroom and I spy some blush and lip gloss on the counter. It’s a new thing for us. It throws me back to my teen years, trying all the Wet ‘n Wild and Cover Girl, figuring out just the right shade against my pale skin, mousy brown hair and freckles. I smile when I think of those same freckles splayed across her nose and wonder if she realizes how beautiful I think they are. I was scared of these days–this transition from little girl to woman. I dreaded them, closed my eyes and sighed when I thought of them. I think I thought some strange version of my little girl would emerge suddenly, one I wouldn’t recognize, or like. We’re only in the beginning; the wrestling has just begun. But, so far, I’m saying this stage is my favorite. She’s the same little girl and yet with so much more humor and understanding. We can look at each other and say things without a word. The years have taught us our own language. And yet, at every stage I’ve said it’s my favorite. As it turns out, I love her no matter what. Read more over at Jessica Hoover’s place today. I tossed and turned in bed last night. With eyes closed and mind busy, I sent prayers up for the families of the Christians executed in Libya. I sent prayers for more Christians who are facing the same fate. I prayed not that the persecution would subside but that their faith be emboldened to stand for Christ. That a weak faith would not deny his name and give in to these murderers. Because you know what happens when people’s faith is strong enough to withstand persecution? People believe. Others are emboldened. I am emboldened. I want a faith that is so strong that can withstand persecution. Not so I can have the reward that God says is ours if we are, but so that others will join me. American Christians, we need this kind of faith. If we think this type of persecution isn’t coming for us, we are naive. And this is why I am now seeing the importance and the purpose of Feathers. Guys, if we can’t trust God to talk to our neighbor or start a new job, how in the world are we going to have enough faith to face a sword? (Asking myself too) We need to practice our faith in the little things so we can have the faith in the big things. We need to hear others’ stories about how God was faithful to them. We need the encouragement of other believers. I believe God is inviting us on a journey to increased faith and it starts in the small. Won’t you join us every Tuesday on Feathers? Hear how God is faithful and know He can be the same for you. My words have been mostly quiet here lately. I’ve sat down so many times to type out some words to you, but as I told someone recently, I feel as if God has frustrated my words. He has been whispering these past few months how he is doing something new. I don’t know if it’s so much of a circumstance or calling, but I feel newness deep inside. He is changing me. The words shared on Feathers are changing me. And it is today, on Easter when we are reminded of Jesus’s life, that I feel this new life the most. He is indeed birthing something new in me. I am not sure I have the words for it yet, but it’s like a holy rumbling inside. I get the feeling it is new faith, a belief I’ve yet to experience. The more I walk in God’s path and let go more of my own, he replaces the empty spaces with Himself. Today doesn’t feel like a culmination of all his works, but perhaps a scenic pullover on this mountainous path. I look back since last Easter and see that it isn’t just the deep in me that has changed, but our outside circumstances too. I sit here and write while I watch Jac0b play with the girls and Christ has never been more real to me. 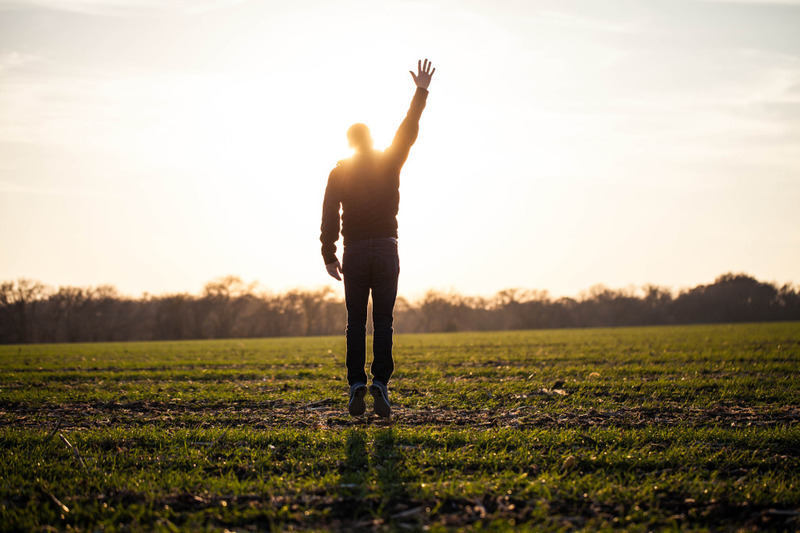 Do I need a Bible or an empty tomb to prove he is real? No, I have a little boy with blue eyes that tells me He’s real. It’s not to say I don’t love God’s word or believe in an empty tomb, but I just have this inkling that we can know that we know because of our experience with Him. A third child was never in our plans. Our plans were for 2 kids, a dog and white picket fence. And then we started following his whispers, to be his hands and feet in this broken, broken world. We kept following the whispers until they were shouts. We couldn’t not adopt. So we checked checkmarks and listened as friends told us we’d have a sandy haired boy. We doubted his call and waited and waited, and then, he was here. In the flesh. God’s call was no longer something written on paper or only of the soul, he was a little boy that moved in and took our last name. It is in this reality that I know Jesus was resurrected. This adoption was God’s idea, God’s path, God’s promise. All God. 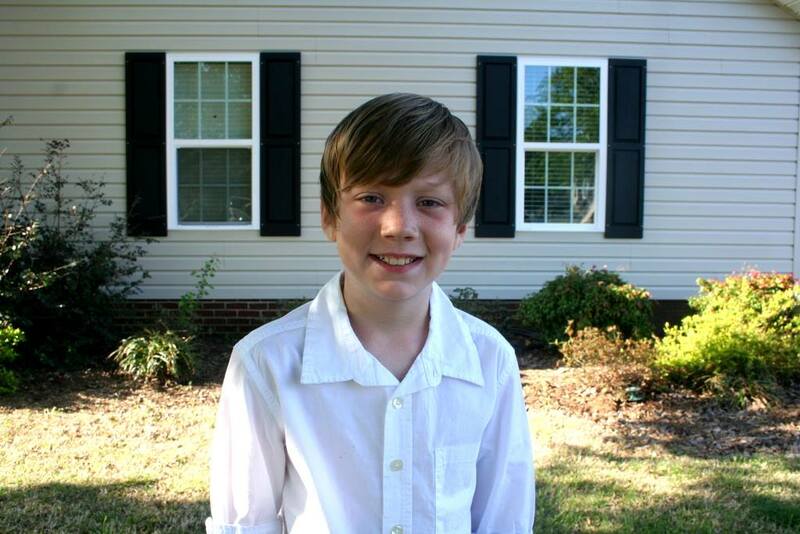 A dead God cannot do what He has done these past 5 years in our hearts and family. On our own, we would not have followed this path. But what a beautiful, redemptive path it has been. Last week we finally received Jac0b’s new birth certificate. We applied for and received his new social security card. If you look at both, it is as if the old Jac0b did not exist. He is now, and forever more, a Bennett. And yet, his past is still there. We can’t forget it or don’t want to. We honor the path he walked. It is because of that path that we more wholeheartedly celebrate and embrace ourselves as a new family. 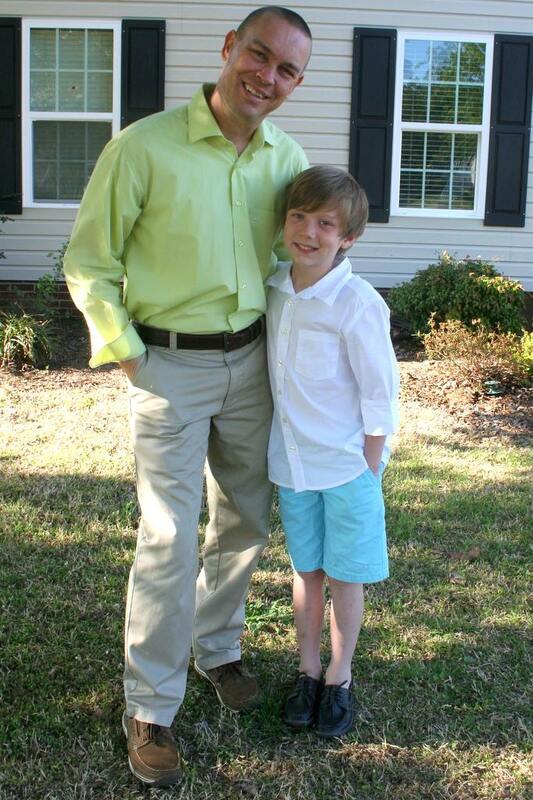 I look at him in our picture and see a little boy that was rescued from an uncertain future. He may have felt forgotten at times, but God was very busy at work to place Him into our family. 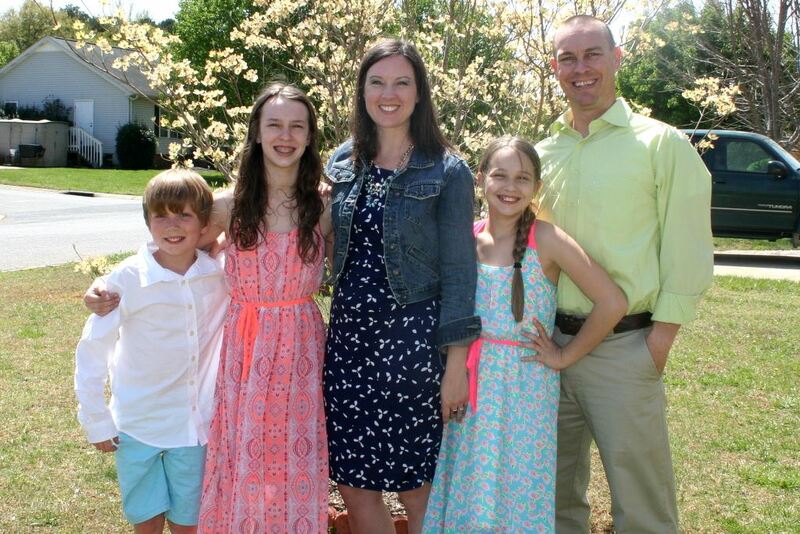 In the same way, I understand our adoption as children in Christ more this Easter. We have a past and it has gotten us where we are, but now we are part of a new family. We have a new identity. Because of His death and resurrection, our names are written in a book of Life that says we are His. We can embrace our past, but also fully live in the freedom of our present because of our salvation from that past. We can rest because he has redeemed and adopted us. At times it may feel like He has forgotten us, but He has not. He is working all things together. We just can’t see it yet. I look at our picture from last year and ask myself if I would rather have skipped all the hard parts and go back to where we were. Without hesitation, I would do this a thousand times over. This Easter, I believe God more, I understand my identity in Christ more and because of God’s resurrected son, I love a son that I never knew I’d have. And man, he’s pretty adorable, isn’t he?